Here's a quick and easy way for your kids to practice ch- words. Even if they only have 1 minute, they can still do some quick reading. 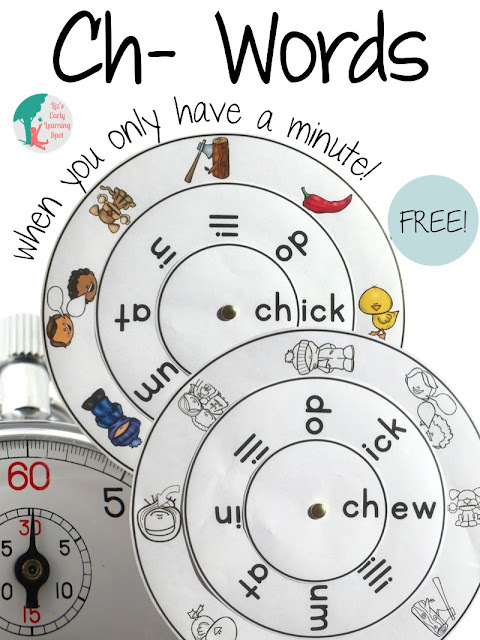 Pop over to Liz's Early Learning Spot to download this Ch-Words: Word Wheel!